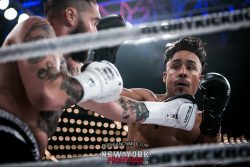 Glory Kickboxing made its way through New York City once more this past July 14th, with several amazing New York fighters on the card. Held at the world’s most famous theater, Madison Square Garden, it was an unforgettable night filled with upsets, crazy knockouts, and dreams coming true. 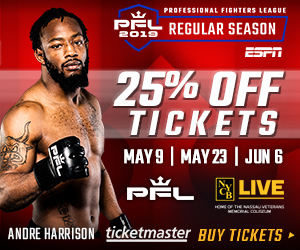 Catching all the action for New York Fighting (@newyorkfighting) were photographers Josh Brandenburg (@drinkandsmilenow) and You Bin (@youbinphotography) with journalist Pari Aryafar (@pariunderthesea) reporting ringside and from the stands.